Get everything in the other smaller packages, but also get weekly customer service and personal coaching to help when you have problems or get stuck. Also get a bio-impedance scale, and a John Jubilee Transformation t-shirt when you finish 88 day program. Get business cards made to help promote the program. 1) I am priceless and my health is priceless. 2) I am committing to one hour of exercise for 88-days, 6 days a week. 3) I am committing to watching all my videos and attending my weekly coaching sessions with John. 4) I agree to non-disclosure of the details of this program, because this is John’s intellectual property and trade secret knowledge, that he developed over 20 years and thousands of hours to help me. I may share my experience, but not the details of the program. 5) I agree that the money back guarantee, is that I follow the program, watch the daily videos, and at the end of the 88 days if I have not seen results, I can request a refund. THIS NON-DISCLOSURE and LIABILITY WAIVER AGREEMENT is made and entered into as of the date set forth between JOHN JUBILEE TRANSFORMATION EXPERIENCE™ and/or assigns, (“JJTE”) and you. Forewith JOHN JUBILEE TRANSFORMATION EXPERIENCE™ shall also be known as “JJTE”. 1. Purpose. I understand that the JJTE is a specialized process of protected formulas, strategies, and techniques that are copyright and trademark protected. JJTE will disclose to you certain confidential, technical, and/or business information that must treat as confidential. I agree, if I so choose, to ONLY share my experience, but none of the JJTE details or intellectual property (e.g. proprietary information). 2. Proprietary Information. “Proprietary Information” means an information disclosed by JJTE to you, either directly or indirectly and communicated in any form (e.g. written, verbal). 3. Program Investment. It is understood by you that the investment in the program is for JJTE’s Proprietary Information and that additional services, consulting and support is complimentary and not part of the program investment. 4. Nonuse and Nondisclosure; No License. You agree not to use any Proprietary information for any purpose except to evaluate and engage in discussions concerning a potential business relationship between the parties. You further agree not to disclose any Proprietary Information to third parties. You shall not reverse engineer, disassemble or decompile any prototypes, software or other tangible objects which embody the Proprietary Information and which are provided to you hereunder. Nothing in this Agreement is intended to grant any rights to you under any intellectual property of JJTE, whether implied or expressed, nor shall this Agreement grant you any rights in or to the Proprietary Information except as expressly set forth therein. 5. Maintenance and Confidentiality. You agree to take reasonable measures to protect the secrecy of and avoid disclosure and unauthorized use of the Proprietary Information. Without limiting the foregoing, you shall take at least those measures that you take to protect your own most highly confidential information. You shall not make any copies of the Proprietary Information unless the same are previously approved in writing by JJTE. You shall reproduce JJTE’s proprietary rights notices on any such copies, in the same manner in which such notices were set forth in or on the original. All documents and other tangible objects containing or representing Proprietary Information which have been disclosed by JJTE to you, and all copies thereof which are in your possession, shall be and remain the property of JJTE and shall be properly returned to JJTE (a) if you decide not to proceed with the proposed business relationship; or (b) upon request. You agree to immediately notify JJTE of any unauthorized release of Proprietary Information. 6. Remedies. You acknowledge and agree that due to the unique nature of Proprietary Information, there can be no adequate remedy by law for any breach of your obligations hereunder, and that any such breach may allow you or third parties to compete unfairly with JJTE resulting in irreparable harm to JJTE. You further agree that upon any such breach or threat thereof, JJTE shall be entitled to injunctive and other appropriate equitable relief in addition to all legal remedies. In addition, if JJTE prevails in any legal dispute hereunder it shall be entitled to collect from you its reasonable attorneys’ fees and expenses. 7. No Warranty. It is recommended and assumed you have consulted your physician before engaging in any diet, weight loss or fitness program and once receiving the JJTE you will make any necessary adjustments per your condition finding the right levels for you. You acknowledge that all Proprietary Information provided to you by JJTE is provided “as is.” Since JJTE has no control of how information will be used, JJTE makes no warranties of any kind; express, implied or otherwise, including any warranty that the information provided is complete or accurate. JJTE is a “self help” program and JJTE takes no responsibility for your success or lack thereof though JJTE does back the program with a refund for those who do the program as designed for them for 88 days in the areas of activity, meal plan, and hydration. The process to apply for a refund must include a reasonable level of documentation that covers the 88 day period (e.g. completed workbook and a minimum of 3 submitted evaluations during the 88 days). 8. Liability Waiver. It is understood that JJTE, its employees, and/or associated companies hold no liability whatsoever, neither physical, mental or emotional. 9. Waiver and Release. JJTE’s practice is not to use any type of images without permission, but unless submitted in writing to the contrary, you are agreeing that JJTE may use any image, photograph, video, voice or likeness without additional compensation. I understand that these photographs, images, video or audio may be used in any media for for JJTE promotional purposes either now known or hereafter created anywhere in the world. By my submissions or my participation in the photography or filming, I release JJTE and its representatives, licensees, employees, photographers, and their designees from any and all liability for any violation of any privacy or proprietary rights. JJTE does not wish to receive any confidential information from you, and JJTE assumes no obligation, either express or implied, with respect to any information disclosed by you. 11. Miscellaneous. This Agreement shall bind and insure to the benefit of the parties hereto and their successors and assigns. This document contains the entire Agreement between the parties with respect to the subject matter thereof. Any failure to enforce any provision of this Agreement shall not constitute a waiver thereof or of any other provision. This Agreement may not be amended, nor any obligation waived, except by a writing signed by both parties hereto. If any provision of the Agreement shall be declared void, illegal or unenforceable, the remainder of this Agreement shall be valid and enforceable to the extent permitted by applicable law. 12. Governing Law. This agreement shall be governed by and construed under the laws of the presiding state in which the transaction occurred and the United States without regard to conflict of laws provisions thereof. You hereby consent to the jurisdiction of such courts. 13. 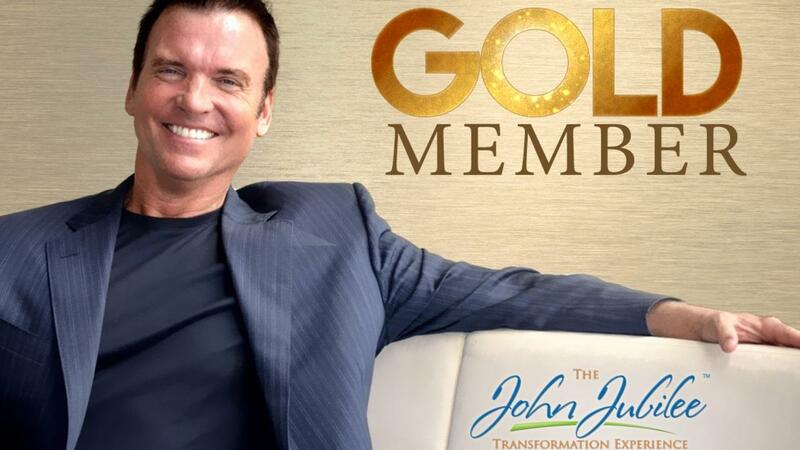 Non-Compete: This agreement regarding defined non-compete, confidential and proprietary information and trade secrets, relating to the business of John Jubilee Transformation Experience. It shall be incumbent upon the recipient to strictly maintain the confidentiality of the proprietary information. The recipient shall not, in any manner, represent, provide services or engage in any aspects of business that would be deemed similar in nature to the business of the John Jubilee Transformation Experience. The recipient herein acknowledges the unique nature of the protections and provisions established and contained within this agreement, and the company shall suffer irreparable harm if the recipient should breach any of said protections or provisions, and that momentary damages would be inadequate to compensate the company for said breach. Therefore, should the recipient cause a breach of any of the provisions contained within this agreement, then the company shall be entitled to injunctive relief, in addition to any other remedies at law or equity, to enforce said provisions, which will be no lower than $250,000.00.